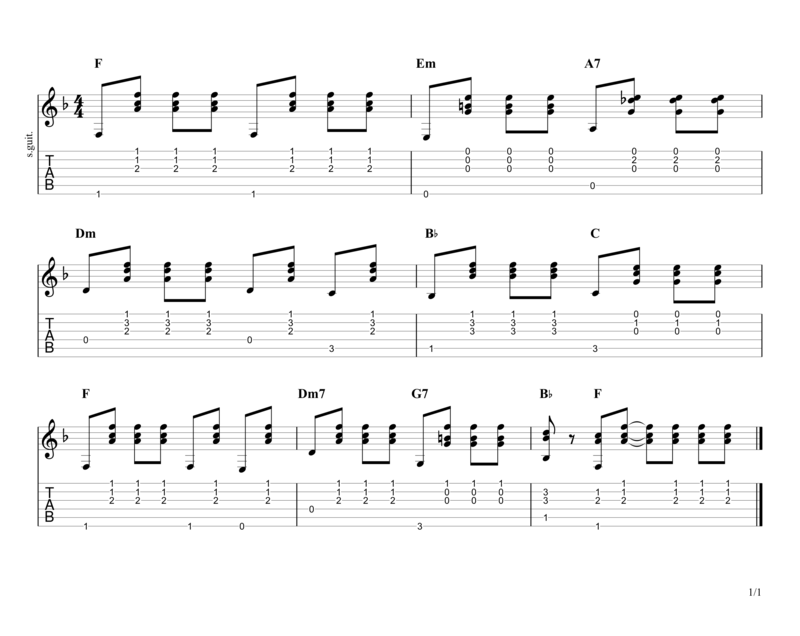 Scroll down for full video lesson (with tab) of Yesterday. Yesterday appears on The Beatles' 1965 album 'Help' and was written by Paul McCartney; a truly beautiful song that we can all relate to in one way or another. Although most of the chords are reasonably straight forward, Yesterday does have its challenges. 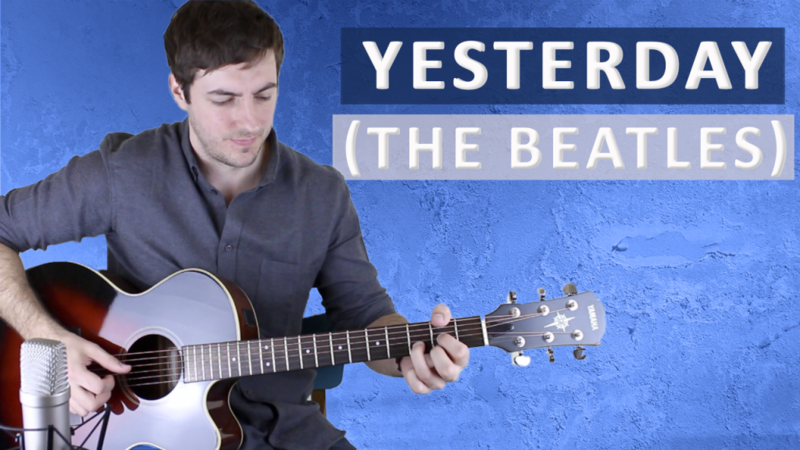 The trickiest part about this song is getting the technique right; McCartney has an incredibly unorthodox style of playing and it can really catch you out if you've not done it before. Yesterday is no. 18 on my Top 60 Fingerpicking Songs of ALL TIME list. If you've not seen the list be sure to check it out and subscribe to get weekly lessons for each song! Looking back at old footage from the 60s of McCartney playing Yesterday, he would play the bass note with his thumb followed by three up strums with his first finger; this alone is fairly peculiar. This technique can be applied throughout the entire piece but if you watch Paul and listen carefully you can hear all sorts of nuances in it. For example, sometimes he'll play the higher strings with his 1st/2nd fingers at the same time as the bass notes and sometimes he'll play three down strums instead of the up strums - I really recommend studying his playing a bit before jumping in and learning the song. 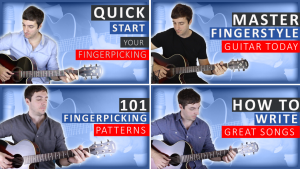 Try one of my fingerstyle guitar courses and really take your playing to the next level! Despite the dropped tuning of the guitar, for simplicity I have kept the chord names the same as if the guitar was still in standard tuning. At the end of the lesson are the actual chords that are played. These will work perfectly in standard tuning! Here are all the chords used throughout the song. 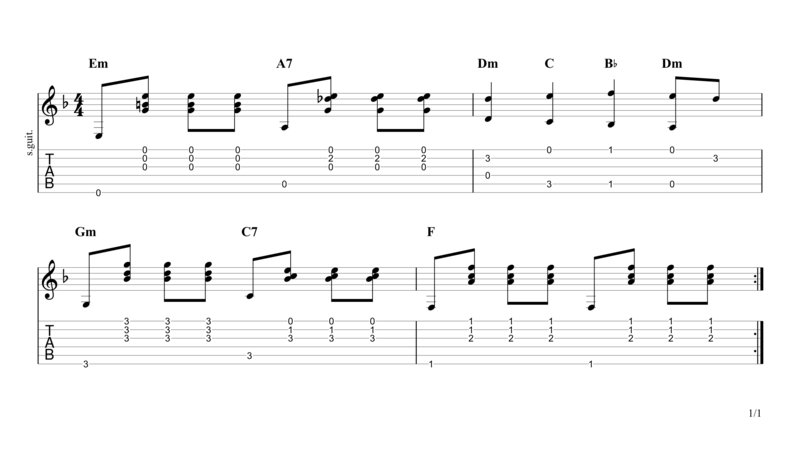 Just a G chord for the two bar intro - this is a really good opportunity for you to work on getting your technique strong. 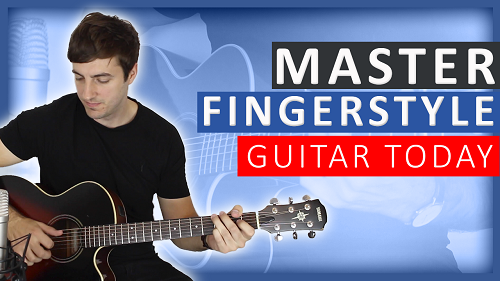 There's a lot more going on in the verse and some quite tricky chord changes to master. The bridge is fairly similar to the verse with a few new ideas thrown in. 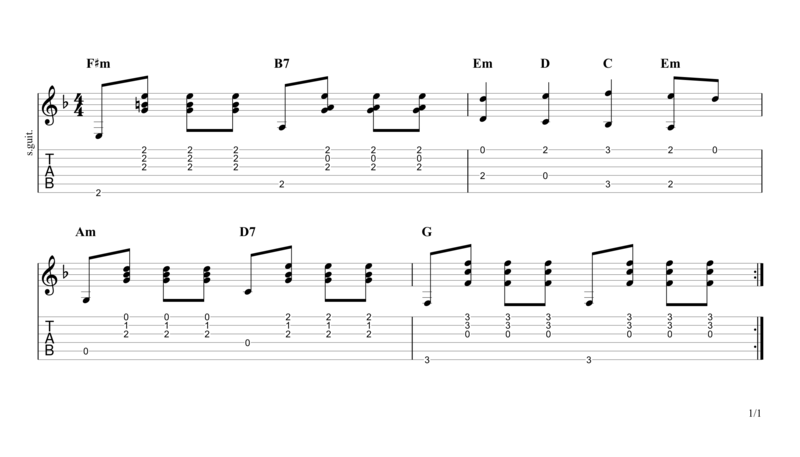 Here the B string descends chromatically down from D (3rd fret) to C (1st fret) over a G chord. 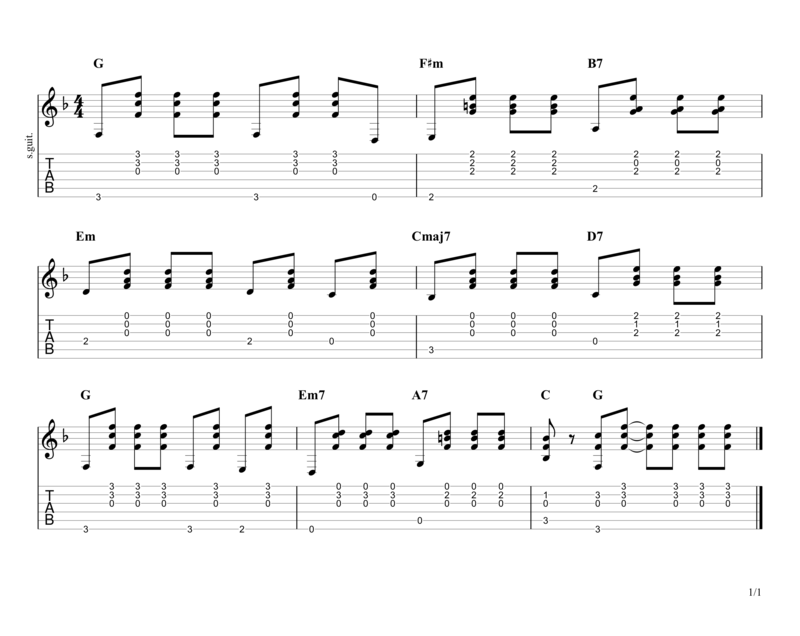 Now let's take at look at the chords that you would play if your guitar was in standard tuning.